If you think your family relationships are complicated, think again: you haven't seen anything like the ones in Bon Temps, Louisiana. 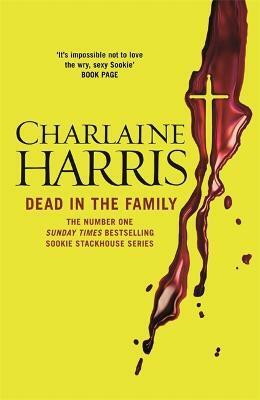 Sookie Stackhouse is dealing with a whole host of family problems, ranging from her own kin (a non-human fairy and a telepathic second cousin) demanding a place in her life, to her lover Eric's vampire sire, an ancient being, who arrives with Eric's 'brother' in tow at a most inopportune moment. And Sookie's tracking down a distant relation of her ailing neighbour (and ex), Vampire Bill Compton. In addition to the multitude of family issues complicating her life, the werewolf pack of Shreveport has asked Sookie for a special favour, and since Sookie is an obliging young woman, she agrees. But this favour for the wolves has dire results for Sookie, who is still recovering from the trauma of her abduction during the Fairy War.